This beautiful 3500 sq ft 3.1 bedroom Lakefront home offers a subtle contemporary feel, with a well thought out design, abundance of windows, and magnificent views of the Lake. The home was renovated in 2001 from the foundation up and offers almost all of the features of a modern custom lakefront home. The main level offers Jatoba hardwood floors, custom maple kitchen with stainless steel appliances, centre-island with breakfast bar, an abundance of cabinetry, and custom designed windows that maximize natural light and lake views. The highly functional floor plan offers a main floor den, ideal for the home office use, a great room and sitting area overlooking the lake, and a highly functional kitchen and dining room. The 2nd level has 3 spacious bedrooms, each with its own ensuite, and a 2nd floor custom laundry room. The master suite has a large walk-in closet and ensuite and also has large windows that overlook the lake. The Lower Level is professionally finished with walk-out, 4th bedroom with ensuite access, 3 piece bathroom, custom wine cellar, and an outstanding theatre room. The property is professionally landscaped with a detached 2 car garage, beach access, riparian rights, and a manageable, efficient lot size – ideal with low-maintenance shrubs and perennials. This homes offers lakefront living at its best in a peaceful and tranquil setting. The home is located close to Appleby College and other fine private and public schools. 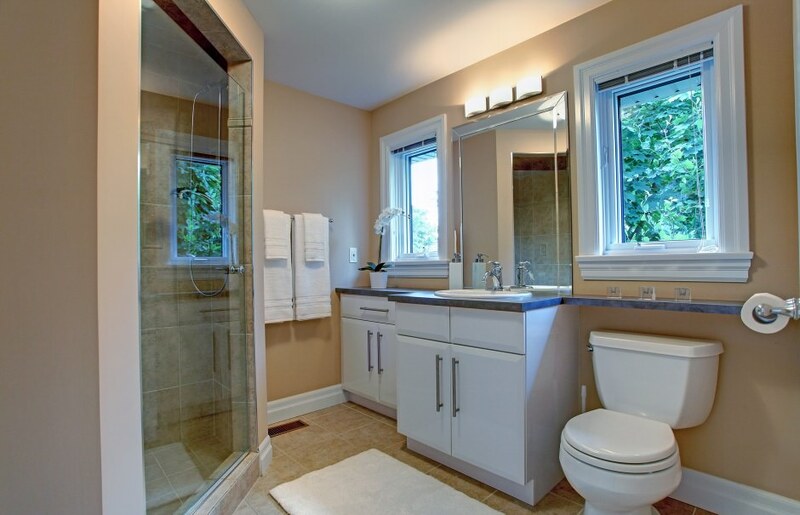 This property offers easy access to the GO train, Hwy 403, great shopping, and amenities.